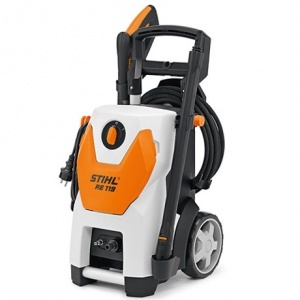 A lightweight, entry-level pressure washer, STIHL's RE 88 is great for a wide-range of garden cleaning tasks. Provided with a 6 metre high-pressure hose and a 5 metre power cable. This electric pressure washer is ideal for working on medium sized areas, while boasting maximum comfort and being superbly easy to use. Benefiting from a six metre high pressure hose and maximum pressure of 135 bar. 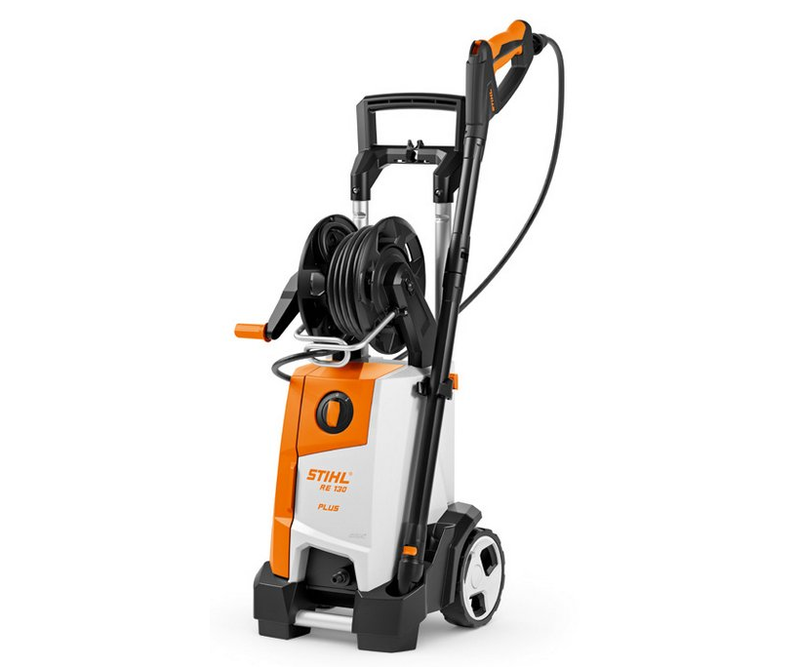 An entry level cold water high-pressure cleaner, the RE 98 from STIHL is a great for occasional cleaning jobs around the house and garden. Supplied with a 5 metre power cable and a 6 metre high-pressure hose length. 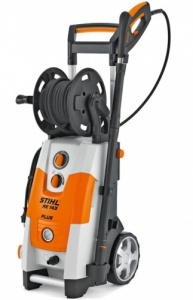 The STIHL RE 109 is a powerful and compact 110 bar high pressure cleaner, ideal for jobs around the house and garden. Complete with a 5 metre power cable. Designed to maximise comfort with excellent ergonomics, a stable base and lightweight operation, this cold water high pressure cleaner is ideal for medium duty work. 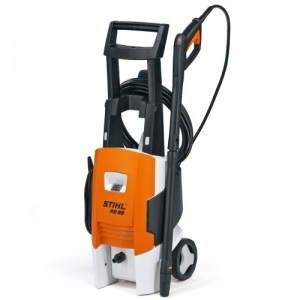 The 2.1kW STIHL RE 119 is a powerful and compact cold water cleaner with 125 bar operating pressure. Supplied with a 5 metre power cable and an 8 metre steel-reinforced high pressure hose. 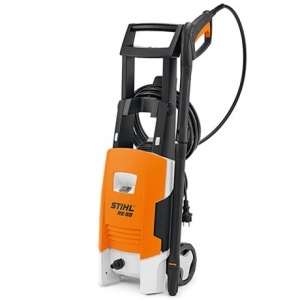 The STIHL RE 130 Plus Pressure Washer is versatile and handy. The 9 m steel reinforced high pressure hose and 135 bar high will offer optimum performance and comfort when using. 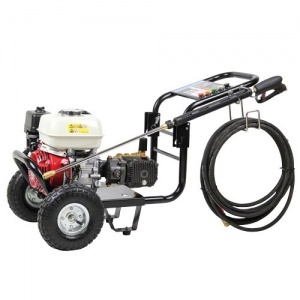 Perfect for working on large areas in excellent comfort, this 150 bar pressure washer also boasts large rubber wheels, an extra handle for improved ergonomics and a 10 metre hose length. 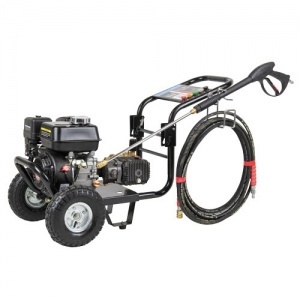 An extra long, steel-reinforced high pressure hose along with a maximum pressure of 150 bar and a design to enhance stability, manoeuvrability and comfort make this pressure washer a great choice. 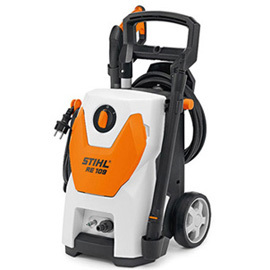 A powerful and compact pressure washer with an integrated high-pressure, steel-braided hose. The hose is 12 metres in length, and a 5 metre power cable is included as standard. A space-saving folding frame combined with the powerful 6.5 hp petrol engine and large pneumatic tyres enable the TPG680/210 to be transported and operate easily in tough conditions. This is a perfect pressure washer for farmers or contractors that need a powerful engine and pneumatic tyres to come with tough conditions. With a 8.5 hp petrol Honda engine, a 676 ltr/min flow rate and a 207 bar maximum output pressure.